I found this to be so cool while on holiday that I thought I would share it with all of you design conscious people who read our interior design blog. 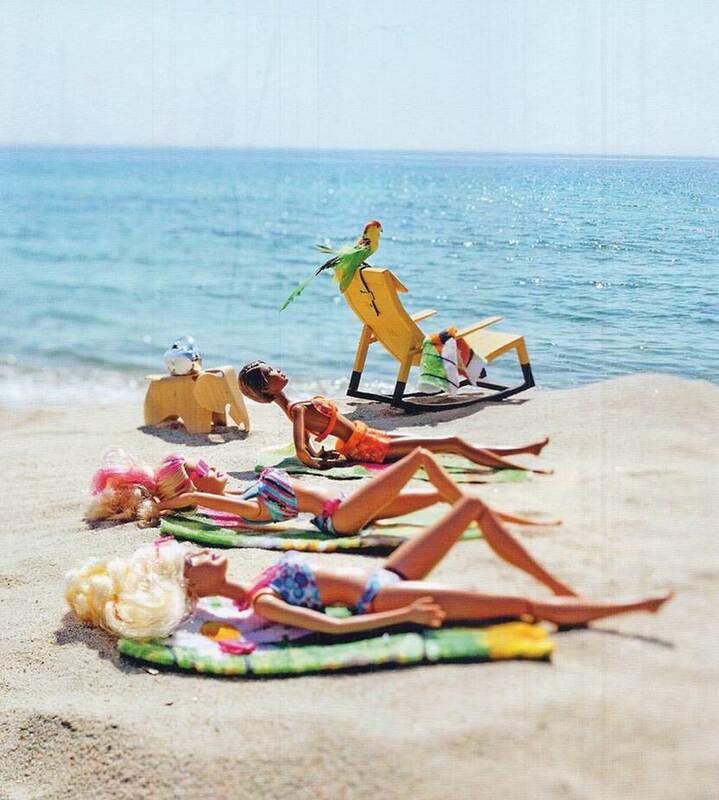 Check out what Barbie and her clan did on their vacation in Italy. The paparazzo of French magazine IDEAT surprised them on the beach of Rimini and this is what he gathered. - Barbie’s maternal instinct takes over as she hangs her clothes to dry. Her vichy dress, now dry, Barbie rocks on the RAR chair by Eames (Vitra, 1948), Ken looking cool with his Piaggio Vespa, so Italian!